KAMPALA – The Committee on Commissions, State Authorities and Statutory Enterprises on Tuesday, April 9, has tasked the officials of Uganda Revenue Authority (URA) to explain circumstances under which fuel that had been confiscated went missing that forced the Authority to pay UGX63m in compensation. The officials from URA led by the Commissioner General, Doris Akol had been summoned to respond to queries raised in the 2013/2014 Audit reports that noted that government was forced to pay businessman John Imaniraguha, who owned Fuelex Petrol Station after some of the fuel URA impounded pending verification was stolen in the custody of Shell Uganda. During the interface, the Committee discovered upon impounding the fuel tank URA officials never carried out due diligence on the fuel quantities and later Mr. Imaniraguha petitioned claiming some of his fuel was missing. However, her statement attracted more questions with Jinja East MP, Paul Mwiru tasking her to explain the arrangement the Authority has with Shell to allow URA deposit fuel. Ms. Akol told the Committee that at the time, Shell operated a hospitality arrangement that would allow companies and individuals to deposit fuel, an arrangement that URA took advantage of and even said the UPDF officer who impounded the fuel at the Malaba border was recalled from duty by the army. Mr. Mwiru rejected the decision to have the UPDF officer take blame for the missing fuel arguing: “Can 9,000 litres be put in a pocket? How did an officer move away with 9,000 litres of fuel? It is inconceivable that one officer can take it away. What was the time taken from the time of ceasing the fuel? 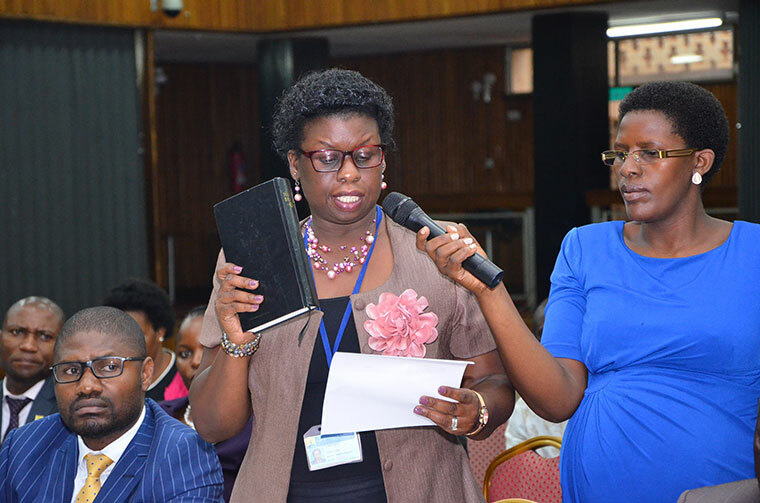 Another MP, Agnes Kunihira wondered how URA came to compensate the stolen fuel at the cost of UGX6,000 per litre yet Uganda’s fuel price has never reached that level. Ms. James Kisame, the assistant commissioner enforcement told the Committee that the case occurred in 2006 when the importer brought in fuel consigned for DRC and he prepared transit documents showing it was enroute to DRC and when URA officers looked at the documents and discovered the documentation was fraudulent, that is when they decided to impound the fuel. He later admitted that URA fell short of its obligations when they failed to measure the fuel upon confiscation.